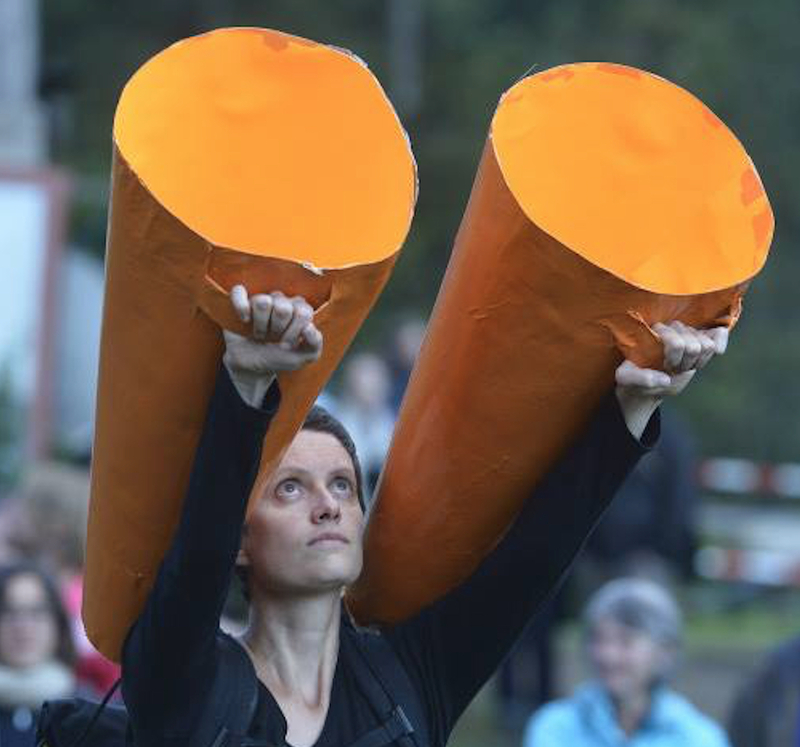 Cathy van Eck during a performance of her piece Klangverordnung. 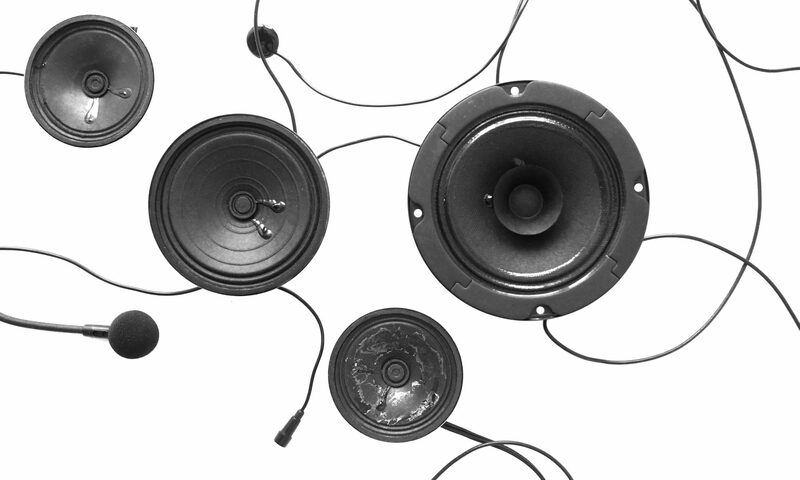 Cathy van Eck is the author of Between Air and Electricity – Microphones and loudspeakers as musical instruments. She is a composer, sound artist, and researcher in the arts. She focuses on composing relationships between everyday objects, human performers, and sound. Her artistic work includes performances with live-electronics and installations with sound objects which she often designs herself. She is interested in setting her gestures into unusual and surprising relationships with sounds, mainly by electronic means. The result could be called “performative sound art”, since it combines elements from performance art, electronic music, and visual arts. Her work transcends genres and is presented at occasions as diverse as experimental or electronic music concerts, open air rock festivals, sound art gallery venues, digital art events, or performance art festivals. Cathy is working closely with performers to develop her pieces and she often works in interdisciplinary fields, collaborating regularly with theatre directors and choreographers. Her projects are shown at festivals and venues all over the world such as NYCEMF New York (USA), Chronus Art Gallery Shanghai (China), BONE Performance Art Festival Berne (Switzerland), Klangwerkstatt Berlin (Germany), Hapzura Digital Art Festival (Israel), Avantgarde Schwaz (Austria), Eclat Festival Stuttgart (Germany), SPARK Minneapolis (USA), STEIM Amsterdam and November Music (Netherlands), Spaziomusica Cagliari (Italy), and the Munich Biennale (Germany). Since 2007, Cathy has a teaching position at the Sound Arts department of the University of the Arts in Bern, Switzerland. She is a regular guest lecturer at other art and music universities. In her PhD-research Between Air and Electricity (supervisors Richard Barrett, Marcel Cobussen and Frans de Ruiter; accepted in 2013 by the University of Leiden, The Netherlands), she investigated the use of microphones and loudspeakers as musical instruments. contact: cathy at cathyvaneck dot net.